As millions of dollars in private donations keep pouring into State House in Freetown, it is becoming more apparent that money may not necessarily solve the Ebola crisis, in an ever increasingly chaotic and uncoordinated environment. There is serious confusion as to the powers, roles and functions of the plethora of agencies and bodies, who continue to get in each other’s way, as they struggle to tackle the common enemy – Ebola. 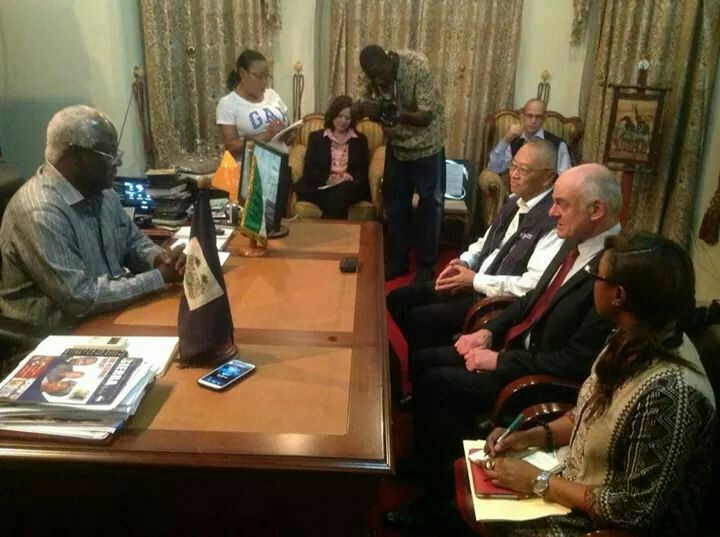 The presidential Ebola Task Force established a month ago by president Koroma does not have clear terms of reference. Yet there is the false impression that it is responsible for setting out and coordinating the practical actions, measures and rules of engagement for all the Ebola agencies – including the ministry of health. The ministry of health and its beleaguered minister on the other hand, has long lost the confidence of the health workers and doctors. Since the death of Dr. Khan, Dr. Modupe Cole and the dozens of nurses and ancillary staff, due to the failure of the ministry to behave responsibly towards its employees, there is now deep suspicion about the sincerity and capability of those running the ministry. There is real fear and panic among doctors and nurses in the country. The international community have established what is known as the Ebola Emergency Operations Centre, with representatives drawn from the World Health Organization, UNICEF, the Ministry of Health and Sanitation, the Centre for Disease Control (CDC), Public Health England, MSF and DFID. 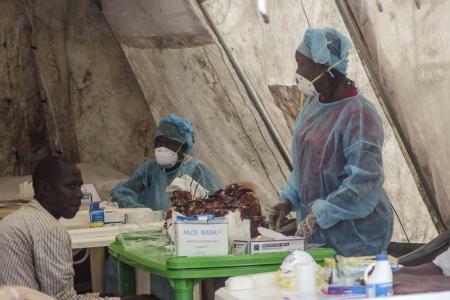 Other international agencies ploughing the crowded deadly Ebola field, include; the International Medical Corp (IMC), the International Red Cross, the World Food Programme, Action Aid and many others. But the latest report of the ministry of health on the spread of the virus, paints a very grim reality on the ground, suggesting that despite the presence of almost every international health and humanitarian agency in Sierra Leone, Ebola is far from being controlled. 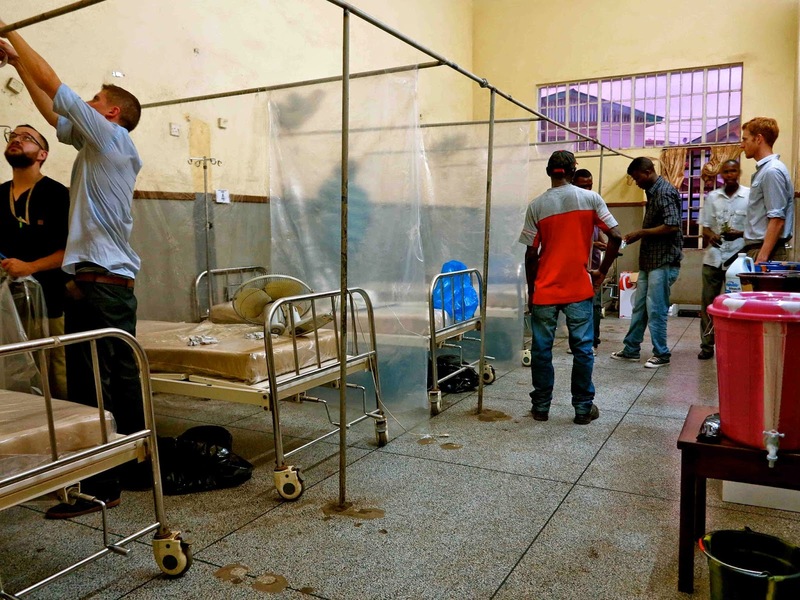 Yesterday, Tuesday 26 August 2014, the Ministry of Health and Sanitation Emergency Operations Centre reported that; the total number of cumulative confirmed deaths now stands at 355, with the cumulative number of confirmed cases topping 955: Kailahun 440, Kenema 326; Kono 1; Kambia 1; Bombali 20; Tonkolili 13; Port Loko 57; Pujehun 7; Bo 35; Moyamba 9; Bonthe 1; Western Area Urban 30; Western Area Rural 15. Yet amid this grim statistics, it is very easy to ignore the heart warming fact that 244 patients have so far survived the Ebola Virus and subsequently discharged. The cumulative number of probable cases is 37 and probable deaths 37, while the total cumulative number of suspected cases is 58 and suspected deaths is 8 – all adding to a frustrating and worrying time for the people of Sierra Leone. Another doctor – a Senegalese working for WHO has been declared Ebola positive, prompting the agency to pull its staff out of the Kailahun Ebola Treatment Centre yesterday. WHO says that it has sent a team to the town near the border with Guinea to do a review of the incident on the colleague who became infected, and try to determine how the health worker became infected, review the living and working environment of all the workers, try to identify factors that increase risk of infection, and address these issues. “The exodus of the WHO health team from Kailahun District has just taught me one big lesson today again. 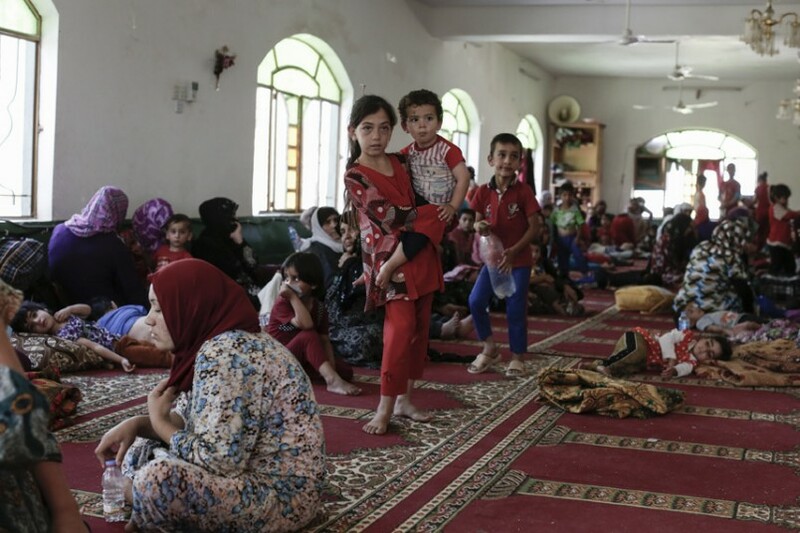 It shows that as a people our dependence on this foreign aid should be limited to finances. There is something very troubling about the chaotic and disjointed approach to managing the Ebola crisis in Sierra Leone. And that is the allegation of negative rivalry among some of the agencies working on the ground. But there are serious questions as to where leadership, authority, control and direction lie, in this chaotic fight against Ebola in Sierra Leone. Is president Koroma in charge? Is the ministry of health in charge? Is the presidential Ebola Task Force in charge? Is the Ebola Emergency Operations Centre in charge? Is MSF in charge? Is WHO in charge? Who is in charge of the overall coordination and direction of the Ebola war in Sierra Leone, no one knows. “No one knows how the Senegalese on non-clinical duty in a high risk environment contracted the virus…. One thing that I see through this is that these so-called partners of the ministry of health (MOHS) may be taking critical unilateral actions and decisions on the ground, without consulting MOHS. And therefore it may not always be possible for MOHS to give the support that only Government can give. “I think MoHS needs to review and reassert ground rules of engagement at this time, otherwise lives could be put at risk unnecessarily. 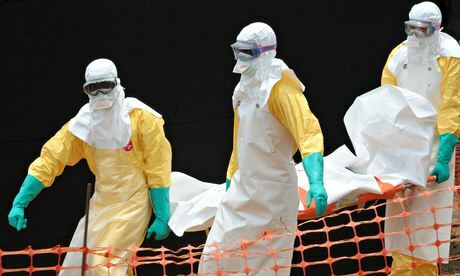 Just to close by stating that my understanding is that WHO has no clinical role out in the field, and so it is strange that one of theirs gets infected,” says one of Sierra Leone’s senior journalists yesterday. Last week, the United Nations Resident Coordinator in Sierra Leone – David McLachlan-Karr said that his appeal for $18 million funding from the international community is in support of the implementation of four main interventions: clinical management through the World Health Organization; social mobilization and awareness raising through UNICEF; surveillance and contact tracing of persons who may have come into contact with Ebola (UNFPA); and providing logistical support through the World Food Programme (WFP). At the conclusion of the Africa – US Summit in Washington last month, the World Bank was pleased to announce that it had secured $200 million to help fight Ebola in West Africa. It seemed then that money was no object. But three weeks on, and with over 1500 people dead in Guinea, Sierra Leone and Liberia, it is obvious the international community has failed to prioritise Ebola, as Western leaders step up their co-ordinated response to the political crisis in the Middle East, costing billions of dollars. A comedy of errors was dramatised by the national authorities at the outset (still continuing) and now the government is playing the blame game with the international community. At the outset of the disease, the government was plotting to sneak in the third term agenda for the presidency therefore their attention was not fully focussed where it should have been.